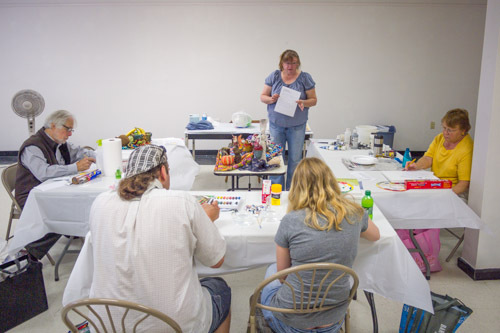 The Berkeley Arts Council announces two new workshops for March March to be presented at the Berkeley Art Works, 116 North Queen Street in Martinsburg. 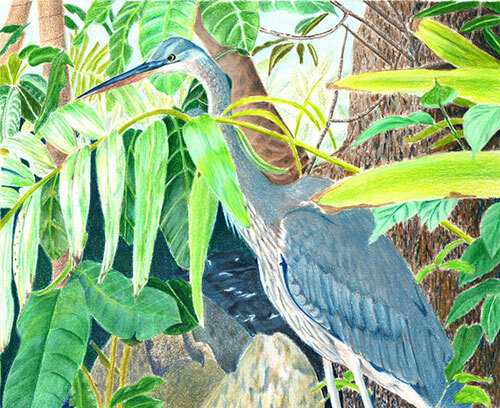 Jean Kellogg will present “Landscape Elements in Drawing Media” on Saturday, March 7 from 1-4pm and “Dimension and Texture in Art” on Saturday, March 21 from 1-4pm. 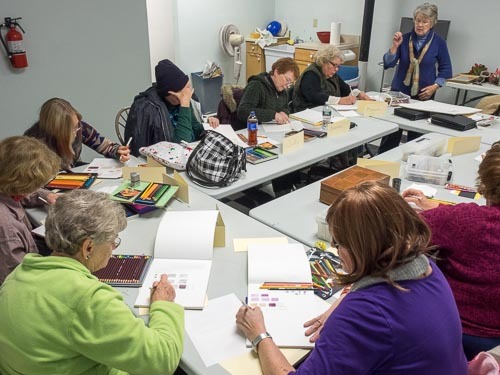 Previously announced workshops for February and March are “Art from the Heart”, a workshop for Valentine’s Day taught by Jean Kellogg (Sunday, February 8 from 1-3pm), Adult Egg Tempera Painting Workshop taught by Hilda Eiber (Saturday, February 14 from 1-4pm), and Reverse Painting on Glass taught by Hilda Eiber (Saturday, March 14 from 1-4pm). The Berkeley Art Works in Martinsburg, WV presents a trifecta of art exhibits for February. Three exhibits will run from February 4-28 with a reception on Saturday, February 14 from 4-6pm. 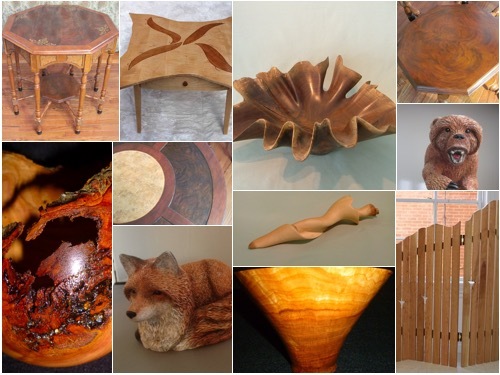 “North Shenandoah Woods”, is an exhibit of fine wood crafted art and hand-crafted furniture. The exhibit is curated by Joe Bourgeois, a furniture designer and wood craftsman based in Bunker Hill, WV. Artists whose work will be exhibited include wood turner Neil Super, wood carver Nancy Streeter, furniture maker Suzanne Ravgiala, wood sculpture Bruce Fransen, furniture designer Joe Bourgeois, and others. 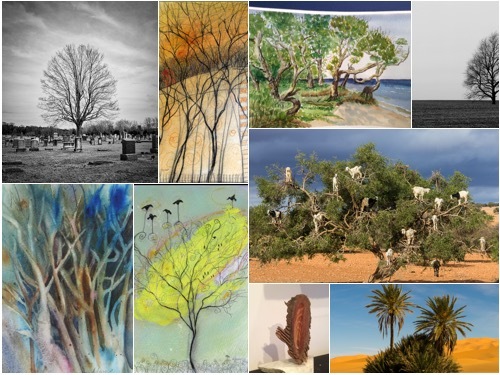 The “Trees” exhibit will be displayed along with the wood craft work in the Art Works main gallery, and will include paintings, photographs, and mixed media work submitted by local and regional artists. The exhibit was juried by a committee of Berkeley Art Works artists. In the Back Space gallery, there will be a selection of work by students who have taken various classes and workshops at the Art Works over the last year. Come and see what people have been learning from our talented teaching artists. The Berkeley Art Works is located at 116 North Queen Street in Martinsburg. Winter hours are Wed 11-3, Thu 11-5, Fri 11-5, and Sat 11-4. Closed Sun-Tue. For more information email berkeleyartswv@gmail.com or call 304-620-7277. The Berkeley Arts Council is offering three beginning art classes starting February 4. The classes will be taught by Teaching Artist Judith Becker. The location for the classes is the Berkeley Art Works, 116 North Queen Street in Martinsburg, WV. Introduction to painting with colored pencils. Learn the basics of materials, techniques and possibilities with this relatively new and popular art medium. Class presents the pleasant watercolor painting process of using watercolor pencils instead of traditional watercolor painting techniques. Students will learn how to lay down colors to create multitudes of variations of hues, of achieving many different textures, and of the ease of using the pencils when traveling, when sketching as well as painting entire compositions. Class presents the process of using the medium of pastels, and the techniques to create beautiful works of art blending colors to achieve depth and light. Students will learn how to lay down colors to create multitudes of variations of hues, of achieving many different textures, and of the ease of using the pencils when traveling, when sketching as well as painting entire compositions. The Third Friday Photographic Salon* will be this Friday, January 16 starting about 6:30 as the reception for the Berkeley Arts Council’s Members’ Exhibit is winding down. Come in around 5:45 or 6:00, view some great artwork by our members, and have some munchies. 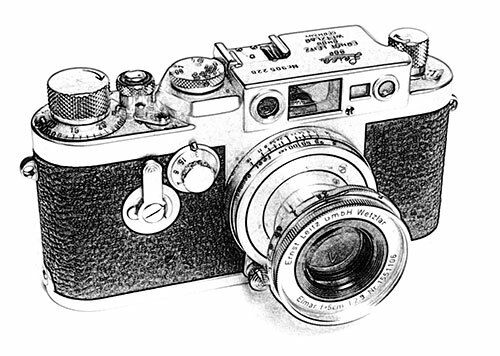 We’ll retire to the Classroom around 6:30 for our monthly discussion about any photographic topic you want to bring up. For anyone who has not been to it before, this is an informal gathering of photographers to share work, give and receive feedback, ask and answer questions about any aspect of photography. Bring some prints and get feedback. Bring your new gear to show off. Have a question about some aspect of photography? Come in and ask it. There will likely be someone there who can answer it. Or just come to chat and talk photography with like minded people. The Berkeley Art Worksis located 116 North Queen Street in Martinsburg, WV (Map). The Berkeley Arts Council presents its second Members’ Exhibit in the gallery at the Berkeley Art Works, 116 North Queen Street in Martinsburg, WV. 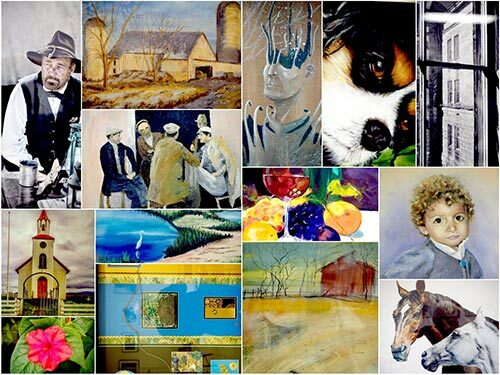 More than thirty art works are on display and for sale including paintings, photographs, and sculpture. Media includes oil, watercolor, pastels and more. Join us to meet the artists at the reception on Friday, January 16 from 5-7pm at the gallery. Winter Gallery hours are Wed 11-3, Thu 11-5, Fri 11-5, Sat 11-4.